The first record of using a hydrofoil on a boat belongs to the Italian inventor Enrico Forlanini in 1906. Alexander Graham Bell and Casey Baldwin improved upon Forlanini’s design in 1919, and their hydrofoil boat, the Hydrodrom-4, set a speed record of 60 knots, which lasted into the 1960s. 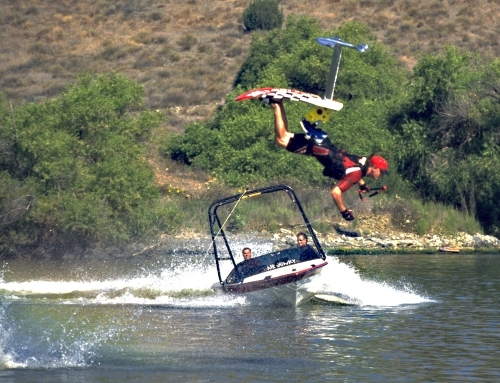 [i] There have been many applications of hydrofoils on boats through the years, the main effect being decreased drag that allows for increased speeds. 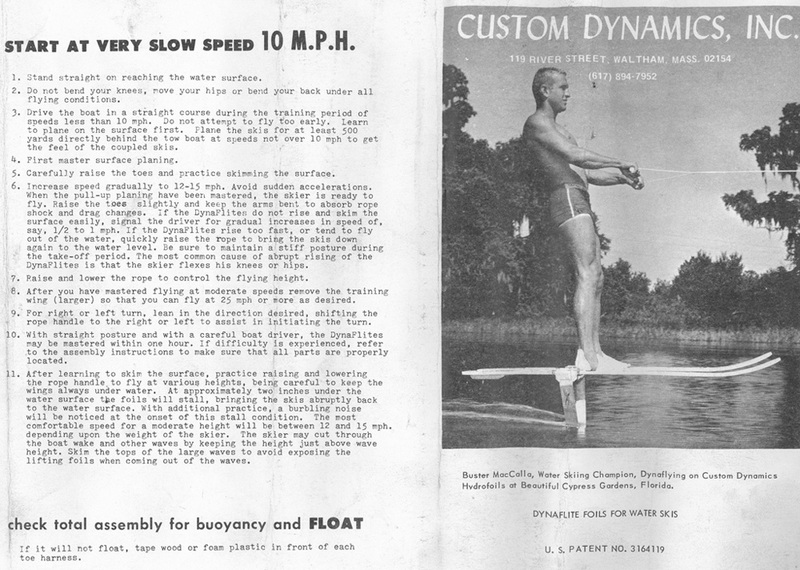 Hydrofoils officially started appearing more than just boats in 1956. 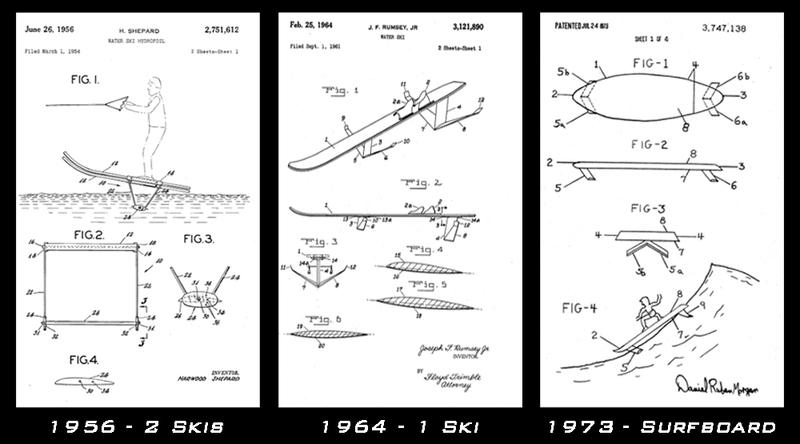 That’s when Shephard Harwood received a patent for a “water ski hydrofoil.” Experimentation continued, and in 1964 Joseph Rumsey adapted the hydrofoil to a single ski. 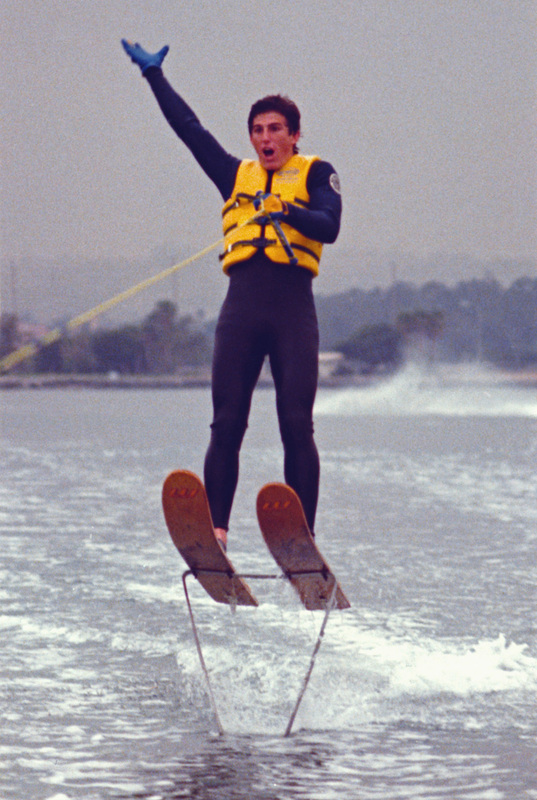 Daniel Morgan received a 1973 patent for a hydrofoil surfboard, decades before Laird Hamilton popularized this unique way to ride the waves. Not one of these three devices got much traction with the original inventors, and their innovations are largely forgotten today. These early patented products never gained much momentum. It wasn’t until Walter Woodward developed the hydrofoils for water skiers in early 1960, that people started to take notice. Woodward used his background as an aeronautical engineer to refine the concept, and Frazier Sinclair was the test pilot. 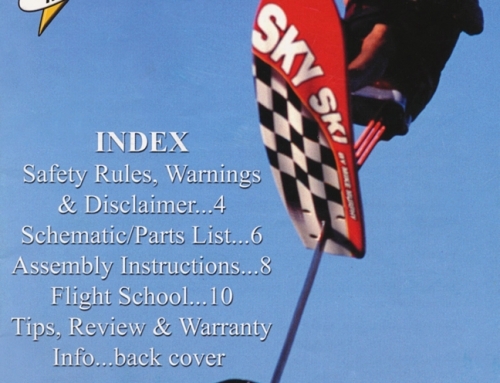 Woodward’s stand-up foils had two skis and two struts leading down to a thin fuselage section at the bottom. The fuselage supported a pair of front wings and a single rear wing, very similar in shape to the wings of a biplane. The world’s first sit-down foil in 1973!? I remember seeing the ads for the Dynaflite hydrofoils in The Water Skier magazine during the 1970s, and would also see an occasional picture of Banana George Blair doing exhibitions at Cypress Gardens. During the holiday season Banana George dressed up in an all yellow Santa suit and rode the foils as “Banana Claus.” The banana man also appeared on a pair of stand up foils with a girl riding on his shoulders, and in another picture he rode with the handle in his teeth, a crossover from his barefooting antics. The stand up foils were always a part of my family’s skiing. We started riding them in earnest at the Marine Stadium in the early 1970s. My grandpa Murphy rigged a pair of stand ups with Western Wood jump skis. He even added adjustable guy wires to create a solid connection between the skis and foil assembly. 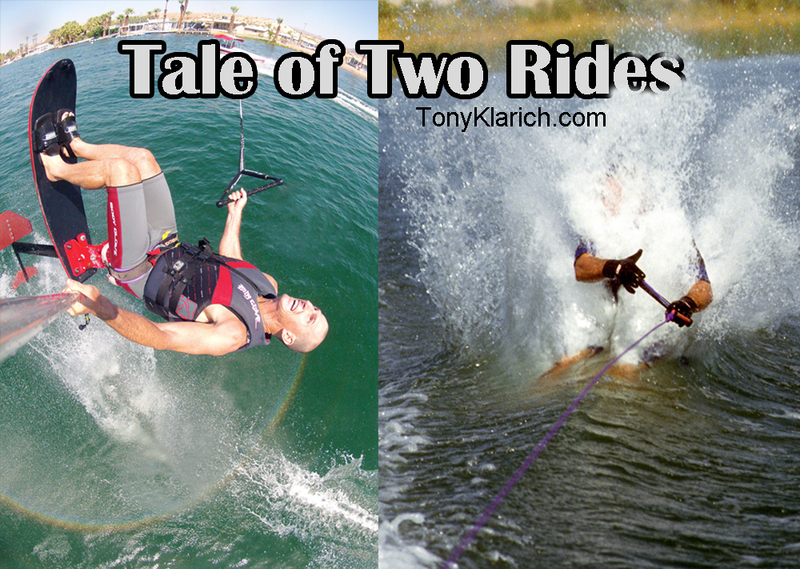 By the late 1970s and early 1980s Mike and I battled it out to see who could do the most wake-to-wake jumps in a row. When the straight jumps got boring I even experimented with some air 360 attempts, but ejected from the loose bindings. Mike always had the stand up foils at his ski shops on the River. 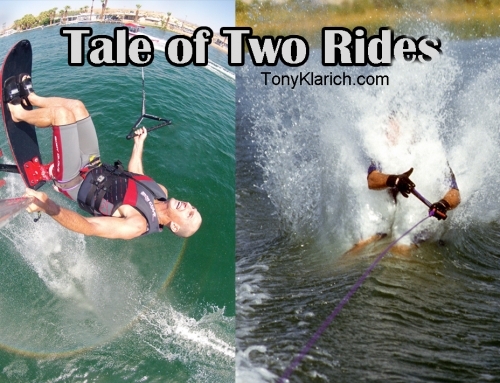 We rode them for fun, and in the weekly ski shows too. Another River local, Buck Buxton, developed the stand up foils even further with his new company, Hydroflight. Buck improved the old design with better materials and a better system for attaching the skis to the foil. [ii,iv] Mike suggested Buck design a single strut foil for his stand ups, and Buck came through. 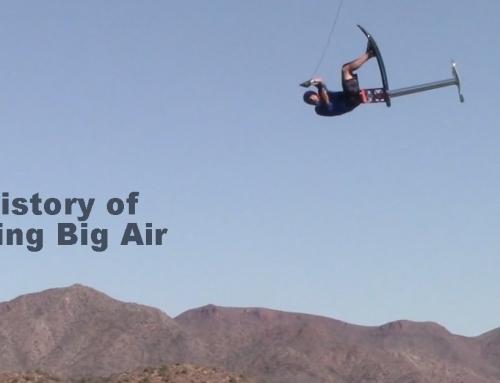 It was the world’s first single strut hydrofoil for water skiing and big breakthrough. The new design was much more responsive. “Hydrofoiling Patents,” accessed 10-6-14, http://google.com/patents. “Custom Dynamics Brochure,” circa 1964. “Custom Dynamics. Stand Up Foil Ad,” The Water Skier, Feb-March, 1975. “Flying Crab Ad,” The Water Skier, June-July, 1973, 51. 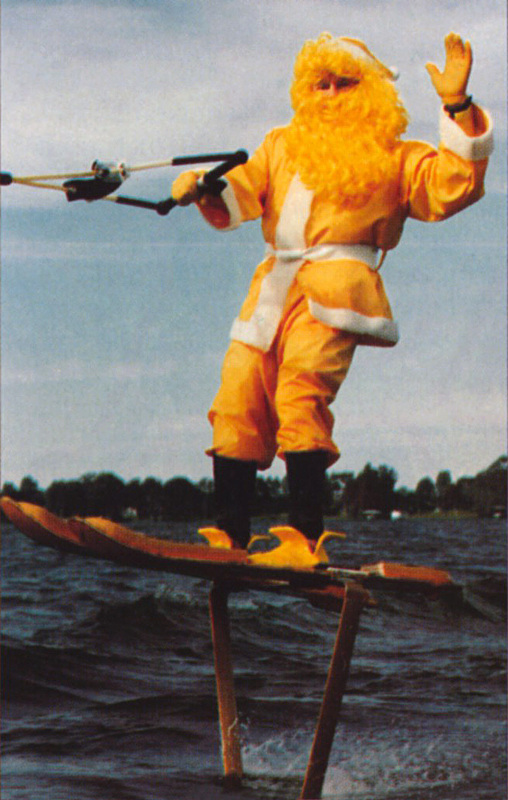 “Banana Claus,” WaterSki Magazine, March, 1988, 12. 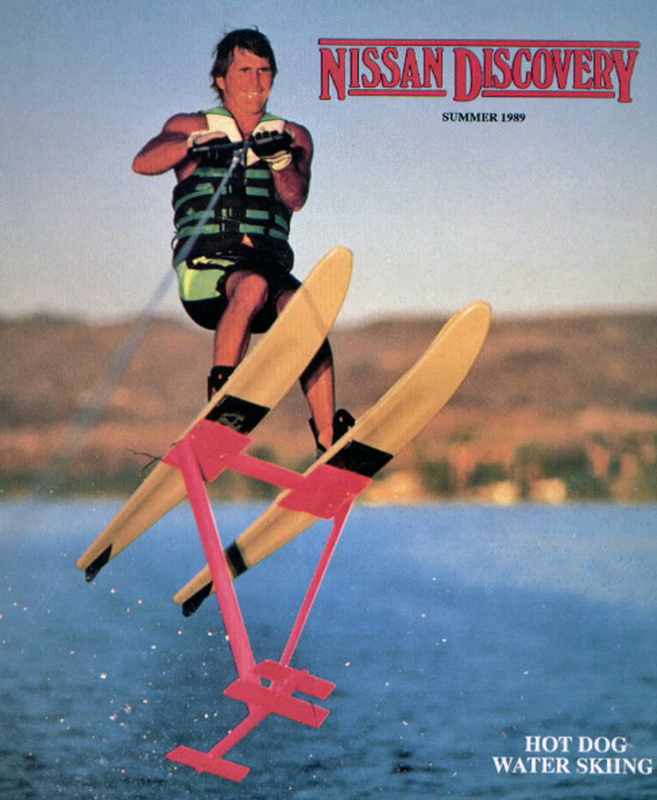 Nissan Discovery Magazine (cover), photo: Rick Doyle, Summer, 1989. “Record Ride – 8 Stand-Up Foilers,” Mike Murphy collection, 1988. 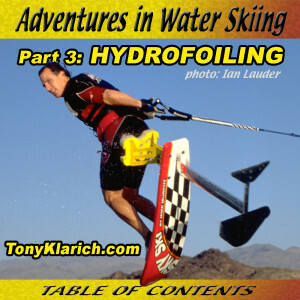 [ii] “Hydrofoiling History,” United States Hydrofoiling Association, accessed 10-2-14, http://www.hydrofoil.org/history.html. 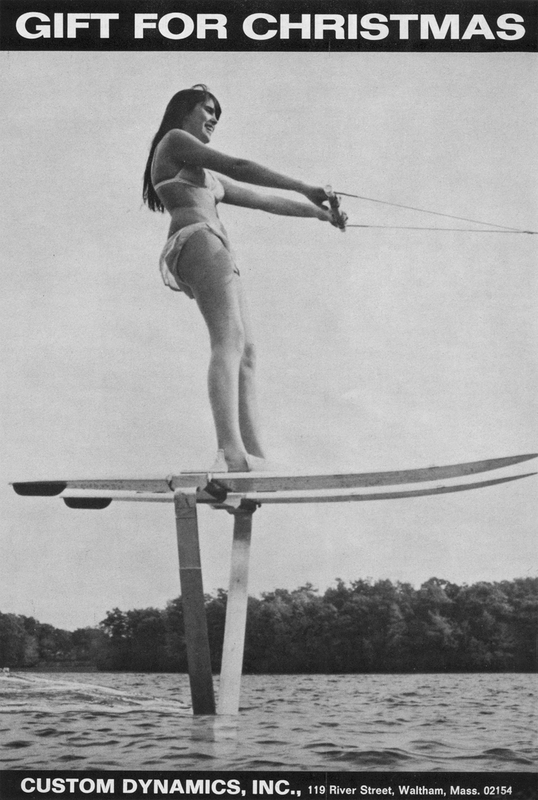 [iii] “Airborne Water Skier,” Popular Mechanics, December, 1963, 117. 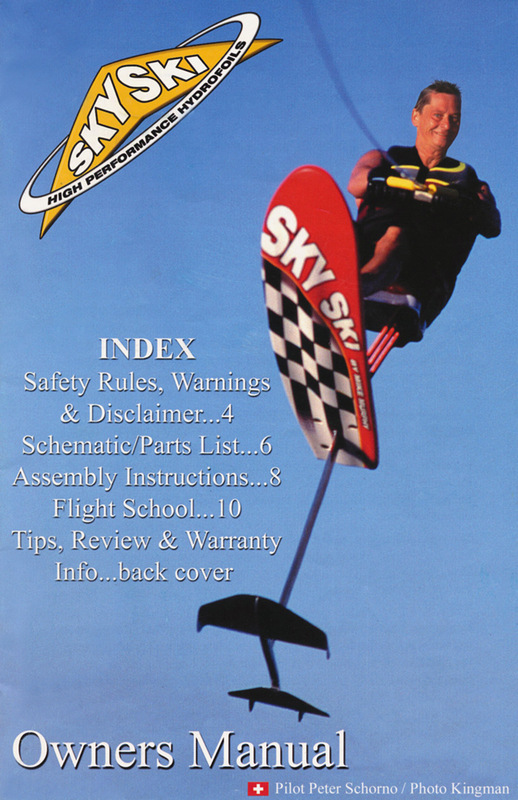 [iv] Ingrid Buxton,”Flyin’ From the Past,” WaterSki Magazine, March, 1991,116.